The Adventures of Ichabod and Mr. Toad is the last package film in a series of 6, made by Disney Animated Studios through the 1940s. As the title sugests, this feature film is made up of two stories, both based upon popular tales. 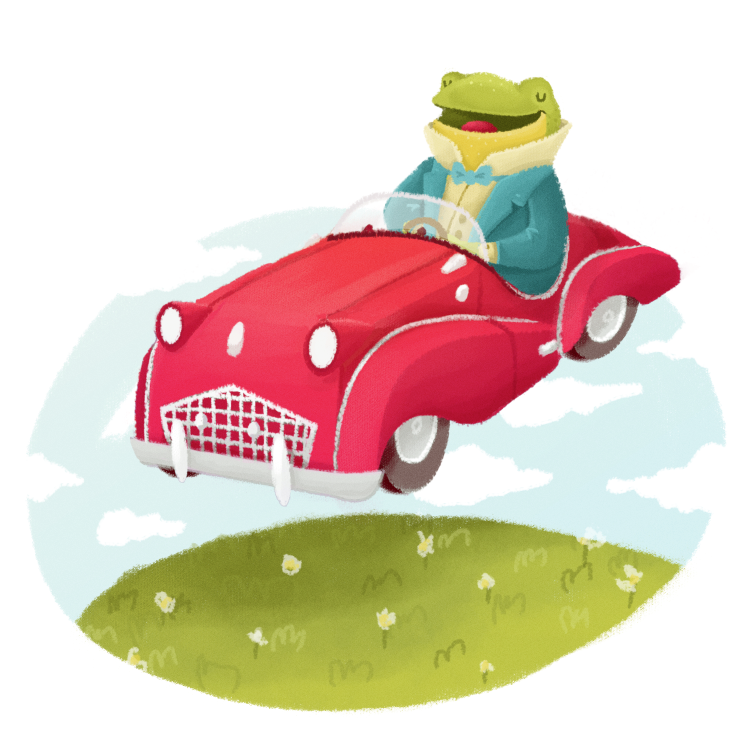 The first one, Mr Toad is a character from The Wind in the Willows by Kenneth Grahame, a classic tale from English literature. The second one is an adaptation of the Legend of Sleepy Hollow, a tale written by American writer Washington Irving. The animation in both segments is more cartoonish than what we would later know as some sort of "Disney aesthetics", but that doesn't mean it's not great. Both stories have great characters, and there are even some character designs that resemble some of the characters seen in recent movies, even one used on a Pixar film. For example, Mr. Rat in the tale of The Wind in the Willows, looks a lot like Hiram Flaversham in The Mouse Detective. Also, in the Legend of Sleepy Hollow, there are some women in there that look a lot like the 2 step sisters in Cinderella, Disney's next feature film. 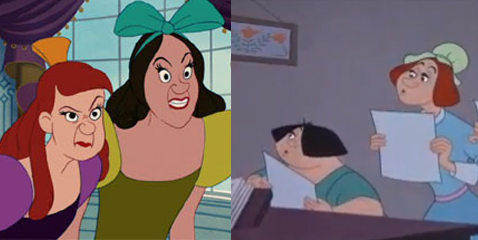 These characters were most likely designed by Ollie Johnston, who was responsible of animating the stepsisters. Finally there is one more character that would later be redesigned (?) as a villain in one of Pixar's movies. In a segment form Sleepy Hollow, there is a strange man in a chair that helps tell the tale of the Headless Horseman. 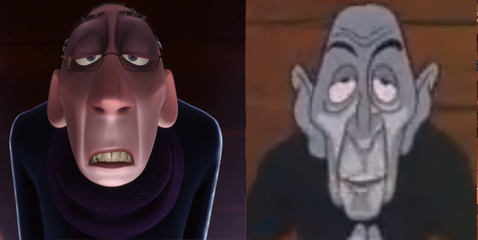 This man looks a lot like Anton Ego from the movie Ratatouille. 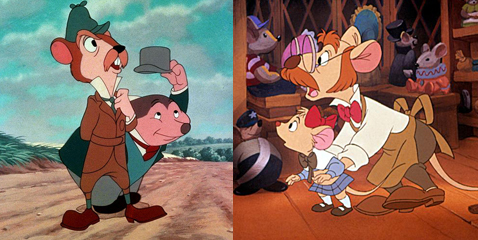 Also, have you noticed how many Disney characters use bow-ties in these first 11 films? The strange man who helps tell the story of the Headless Horseman also looks a lot like Monsieur D’Arque from Beauty and the Beast. 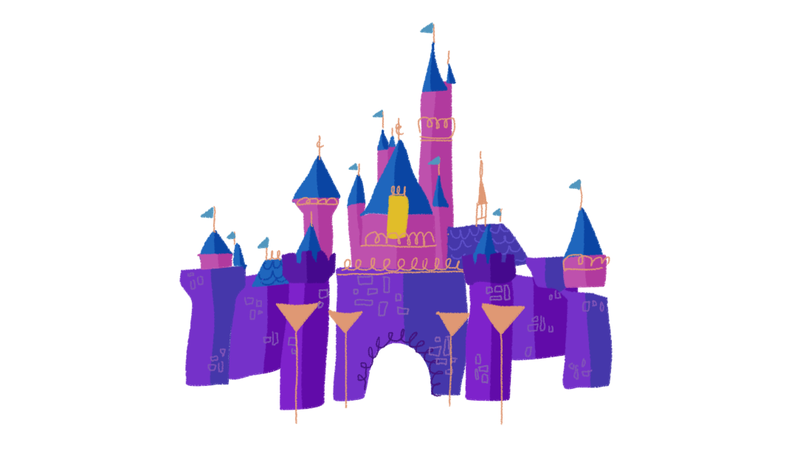 :) I am reading through your blog from the first to the last post, and really enjoying it. Thank you!